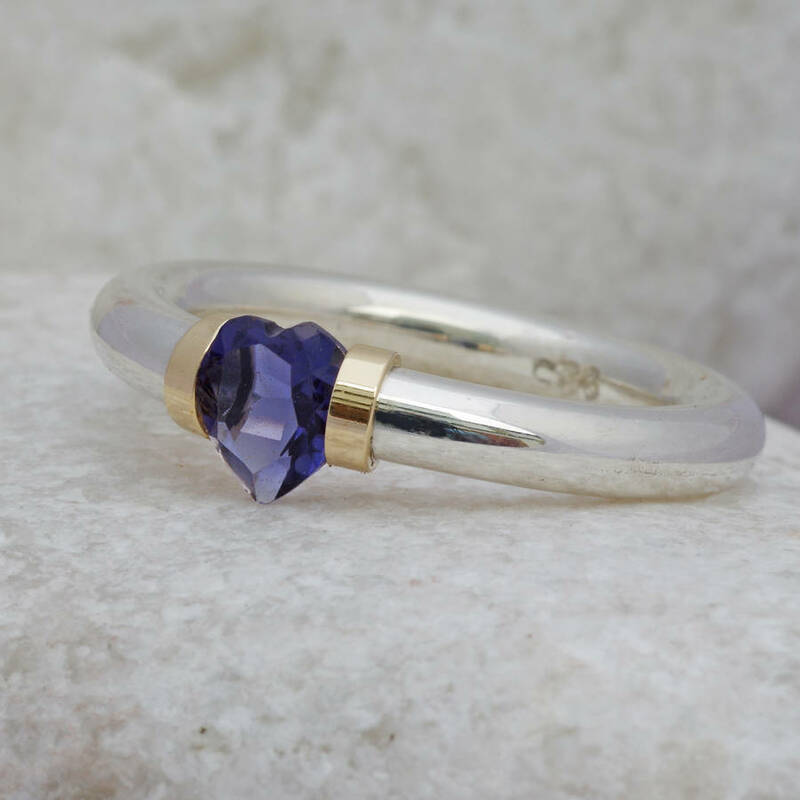 A beautifully simple design, these heart shaped gemstone tension set silver rings are made completely by hand, with a 9 carat gold shoulder detail. 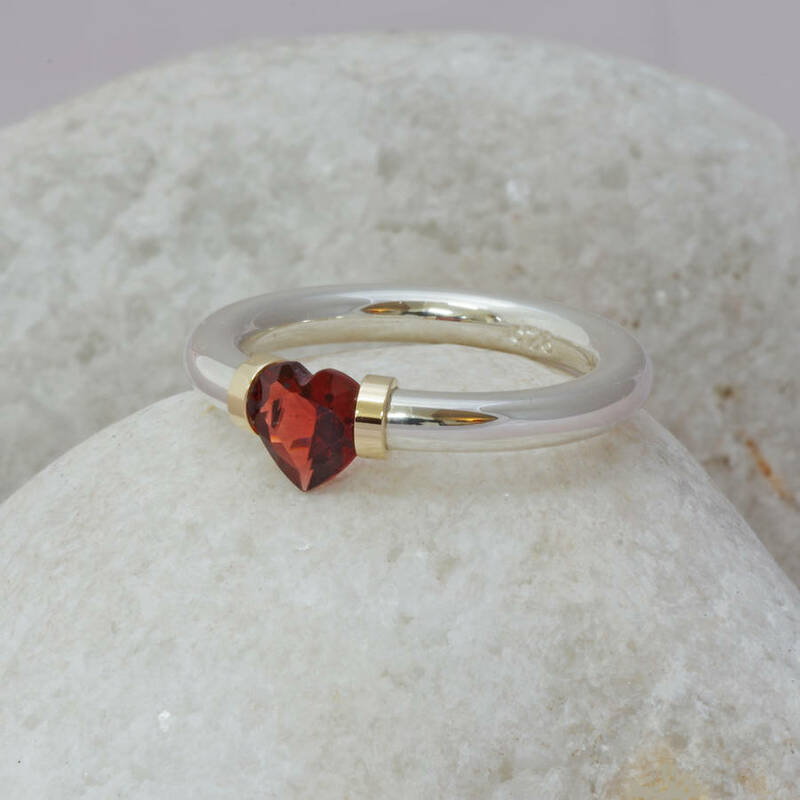 This delightful I Love You Heart Shaped Gemstone ring has been hand crafted from recycled sterling silver, with a 9 carat, solid gold detail on each shoulder. 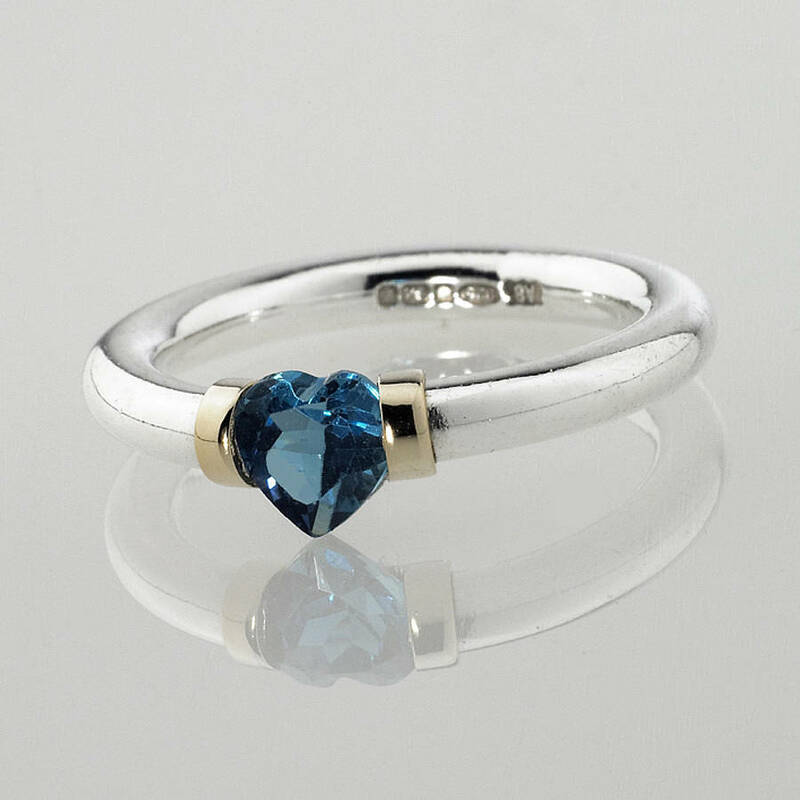 Each of the heart shaped gemstones has been cut by hand, therefore only quality natural gemstones have been chosen for this task. 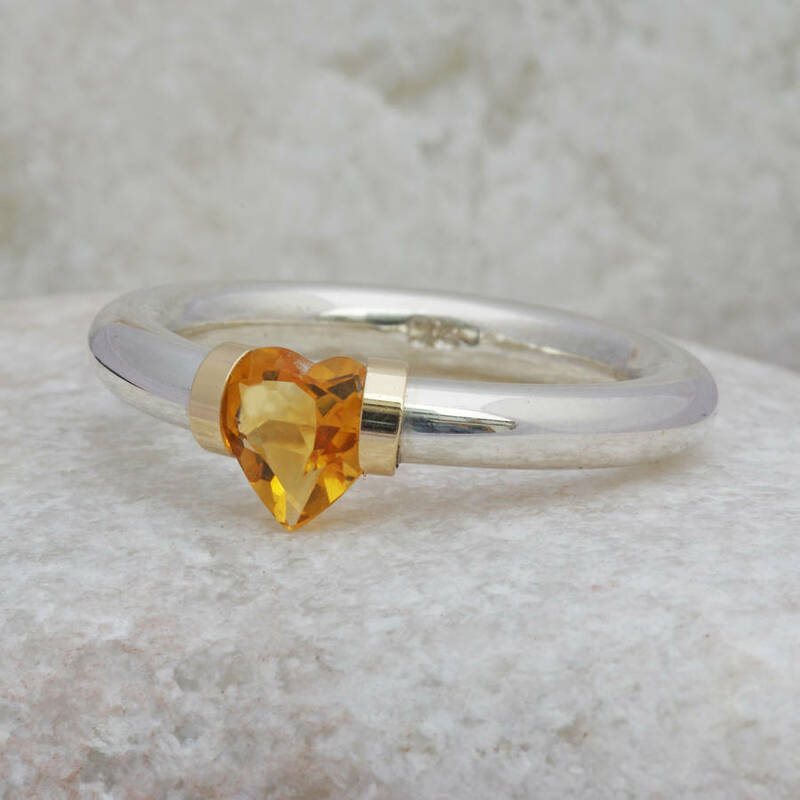 This design is ideal as a birthstone ring, and other gemstones may be availabe on request, via the 'Ask the seller a question' button. Each ring comes in a presentation box. A delightful array of poular gemstones is shown on the page, from amethyst, garnet, peridot, iolite,citrine, light and dark blue topaz. 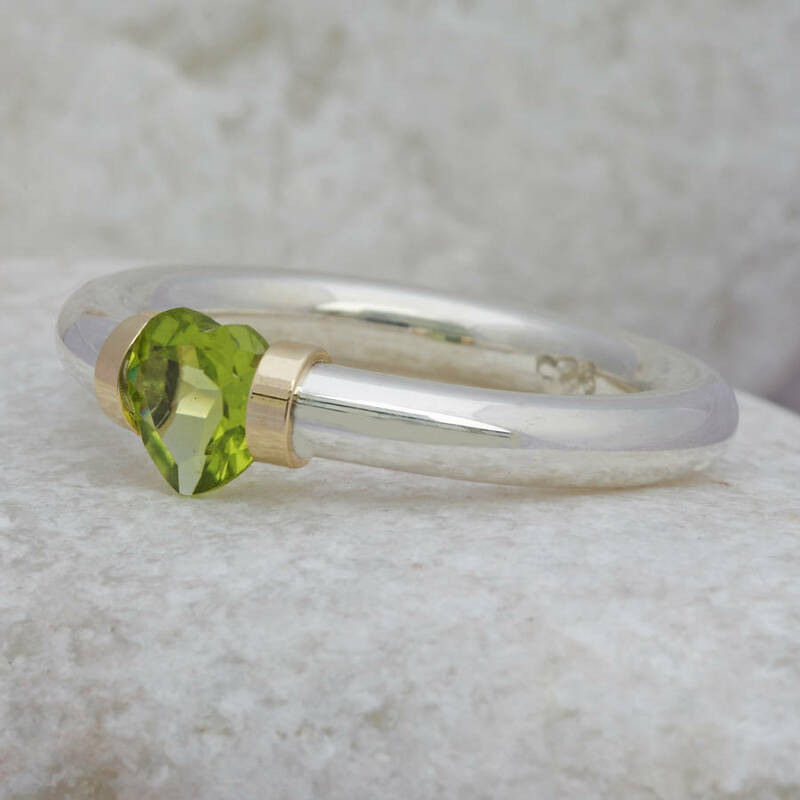 Also on the site is a selection of different styles, from the ever popular oval tension set gemstone ring, along with a larger version which has rcently been introduced. 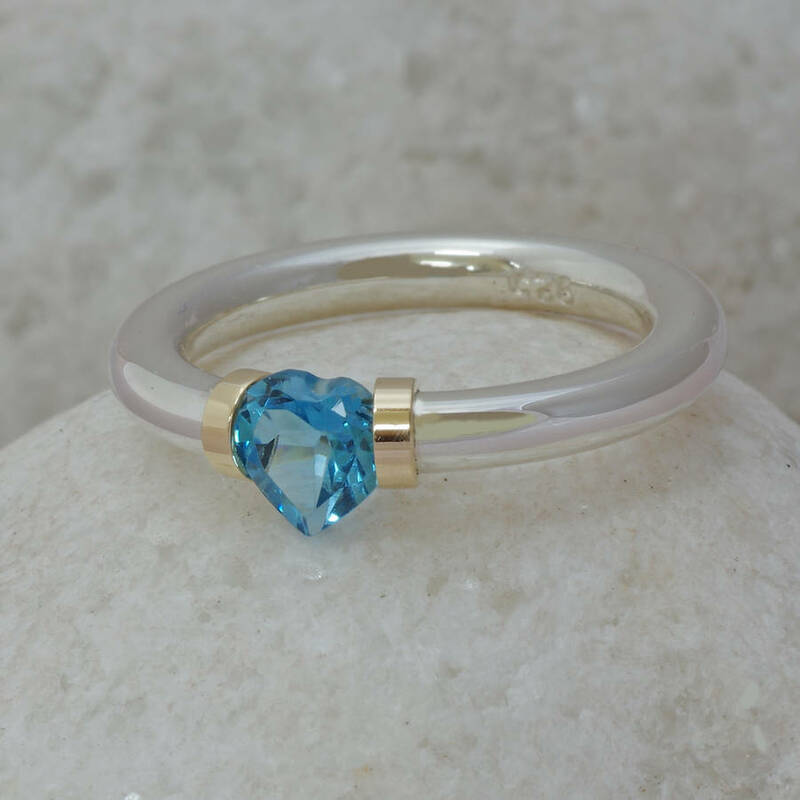 Other designs of the tension ring shortly to be added includes a series of precious metal rings, with various sized diamonds. 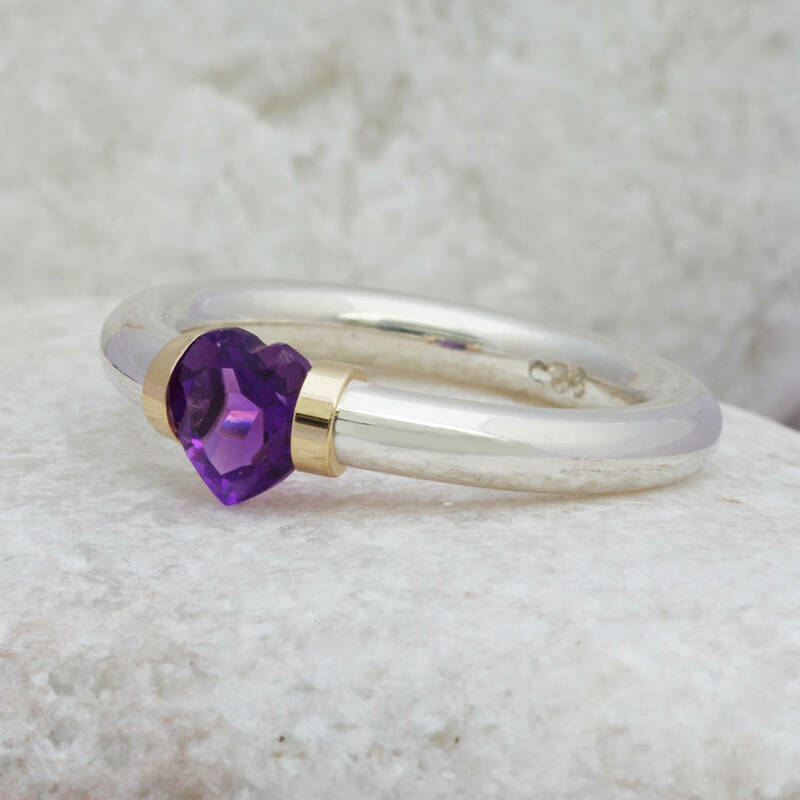 Made from sterling silver, with a contrasting 9ct gold detail. As with all jewellery, a certain amount of care should be taken to ensure that no staining, or tarnishing of the ring occurs. This includes the use of household cleaning products. The ring shank is 3mm, round section, and the gemstone measures 6mm x 6mm.